A slightly hazy but still beautiful sunset in June at Saligo Bay on the west coast of Islay. The view is from one of the highest dunes behind the beach. A group of young people on the beach is also enjoying the sunset. 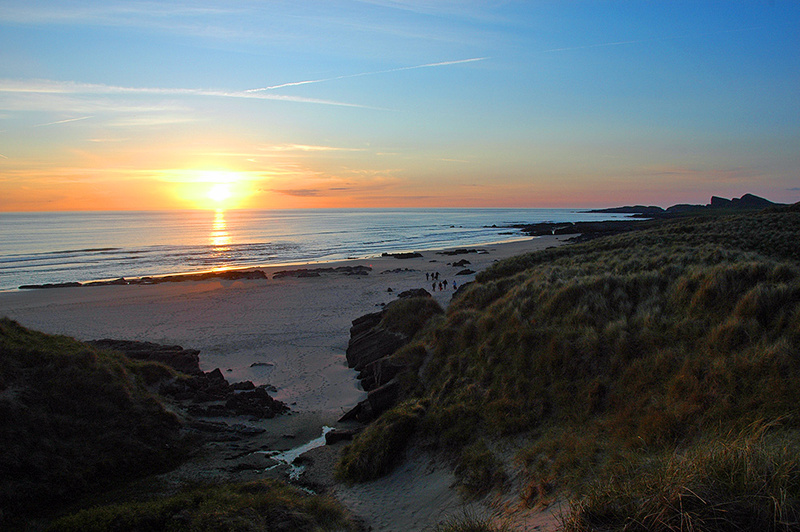 This entry was posted in Beaches, Landscape, Repost, Sunny Weather, Sunset and tagged Islay, Saligo Bay by Armin Grewe. Bookmark the permalink. Thanks for your last picture. Up till now it has kept me sane at work. Islay was amazing. Unfortunately couldn’t reply to your comment from there. Back home now, and I think I’ll have a few Saligo Bay things you like to come over the next few weeks…. And it still is. Haven’t gone bonkers yet.